Bundown offers varied menu for the season. For the summer of 2011, the boys have got a number of weekly offerings as well as big events to ensure that your summer is filled to the brim with fuelGOODmusic! Charles’ Gallery marks the return of the hip hop night we did at The Lo Pub and continues in the same vein as we celebrate hip hop culture, its various elements and special guest DJs and MCs dropping the finest rap joints this side of NYC. CG takes place every Tuesday at Bar Italia, 737 Corydon. G.O.O.D. Thursdays was inspired by a certain MC/producer’s weekly download offerings and is a multi-genre night which allows us to take you all over the urban music spectrum: classic and contemporary house, soul, funk, disco and rap to jumpstart your weekends off right at Bar Italia. Stylistic Fridays is all about unwinding from a week’s work inside one of the Exchange’s newest nightspot offerings, Boa Lounge, 177 Lombard, with music selections that take you anywhere from the latest fist-pumping house remixes to timeless dancefloor joints in a swanky space. Calculated Soul has found a new home inside The Loft Gastropub, 774 Corydon, the latest entry into the Corydon strip’s nightlife, and continues to deliver that soul and funk vibe – with generous servings of disco and house – for a mature clientele. If you were a regular at Lobby On York then this definitely is the night for you every Saturday. 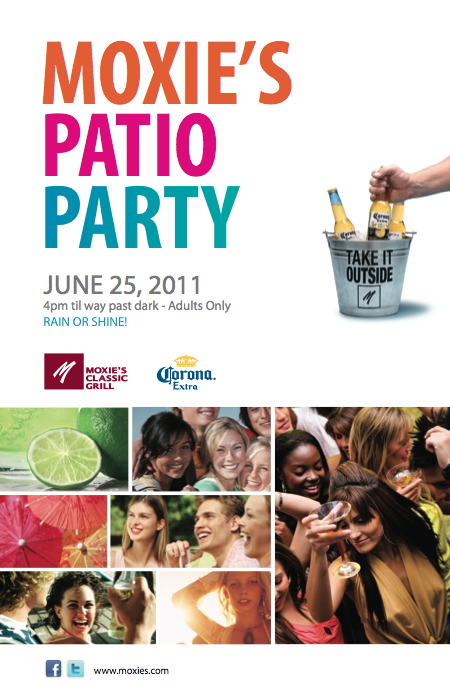 Summer Whiteout Patio Party is going down at Moxie’s Classic Grill at the MTS Centre, 300 Portage. To get the mood started for the upcoming NHL and summer seasons, we’re paying homage to the Winnipeg-bred “whiteout” and going outdoors! There will be prizes for the top 2 sexiest “Whiteoutfits” courtesy of Luxe + Charm and Unfold Apparel! The patio will be open from 4:00pm-way past dark. BOOYA! marks our first ever collaboration with Refresh Concepts: an all-90s theme party consisting of all your favourite rap, R&B and dancehall joints from labels like Uptown, Bad Boy, LaFace, Rowdy, Greensleeves, VP and more! BOOYA! 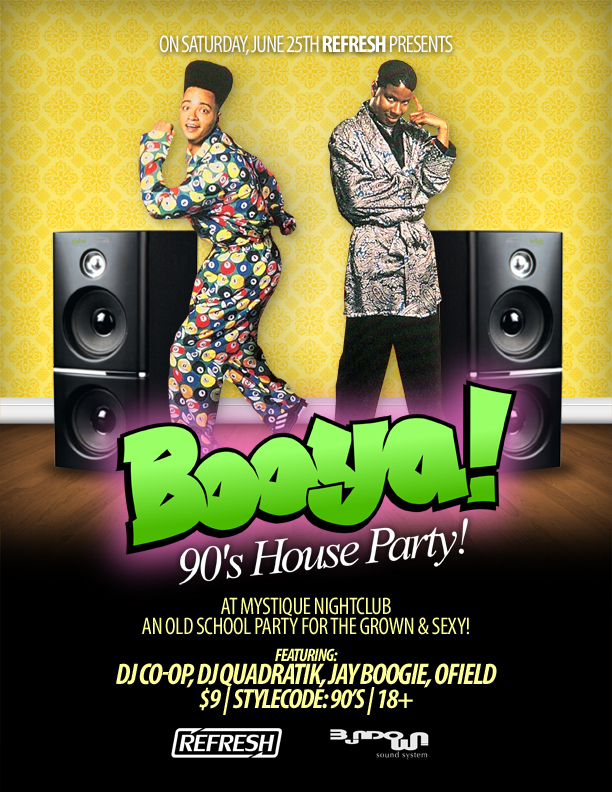 will make over Mystique Nightclub, 441 Main St, into Cloud 9 for one night only! Set the alerts on your iPhones and Blackberrys, folks!